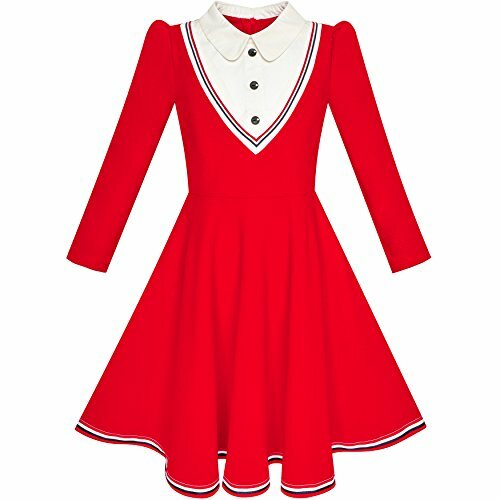 Good quality school uniform dress with comfortable and stretchy material. Cute long sleeve and 2-in-1 design with white collar for your little girls and big girls. Perfect for school party dress and everyday wearing. Following size means age ranges for girls, they are for general guidance only. For most accurate fit, we recommend checking detailed measurement before purchase. If you have any questions about this product by Sunny Fashion, contact us by completing and submitting the form below. If you are looking for a specif part number, please include it with your message.